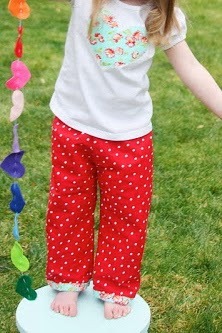 Ready to learn how to make some super easy pants? No pattern! No hemming! 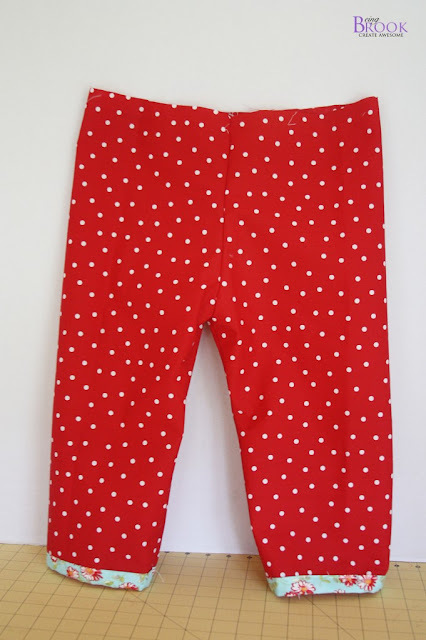 Perfect for PJ pants and they have an elastic waist so they are nice for potty training kids too. 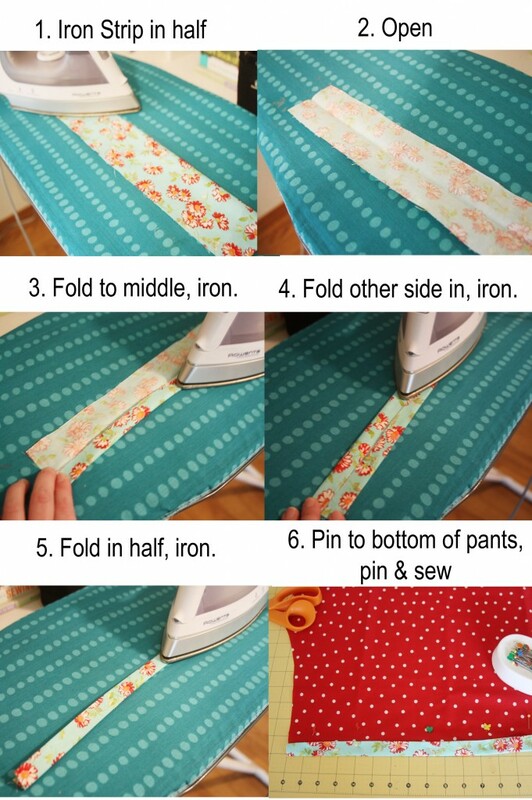 Fold fabric in half. Fold pants in half, place on fold of fabric and cut around pants. 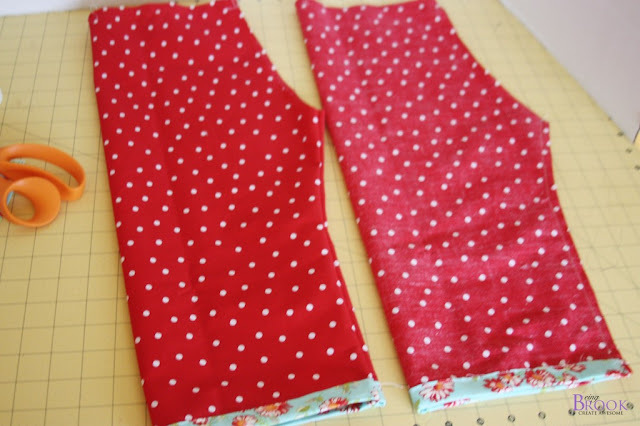 Leave about 1 inch on sides and 2 inches at top for seam allowance and waist band. DO NOT CUT THE FOLDED END. Repeat so you have two fabric pieces. Now we are going to make the binding that will create the hem of your pants. 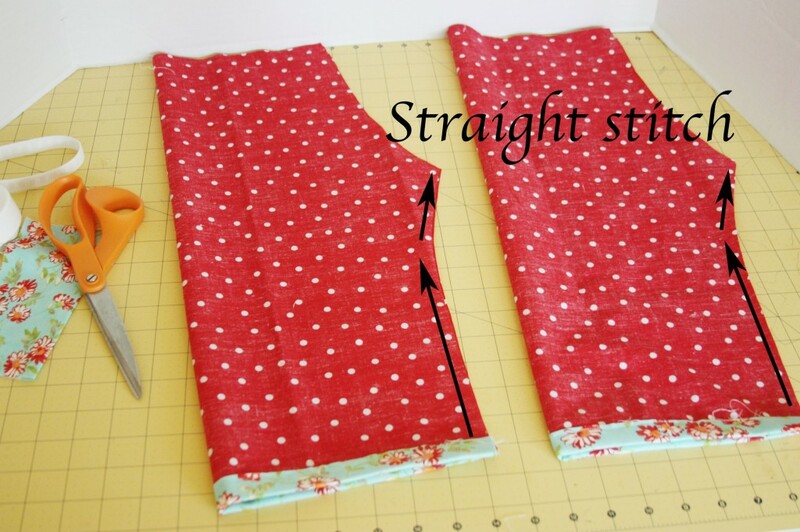 Start with your two fabric strips that are cut in 3 inch strips. 1. Iron Strip in Half. 3. Fold to middle, iron. 4. 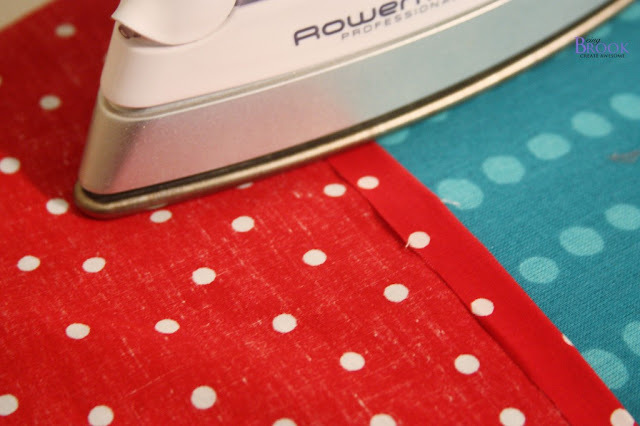 Fold other side to middle, iron. 5. Fold in half, iron. 6. Pin the binding to bottom of pants and sew along top edge of binding. 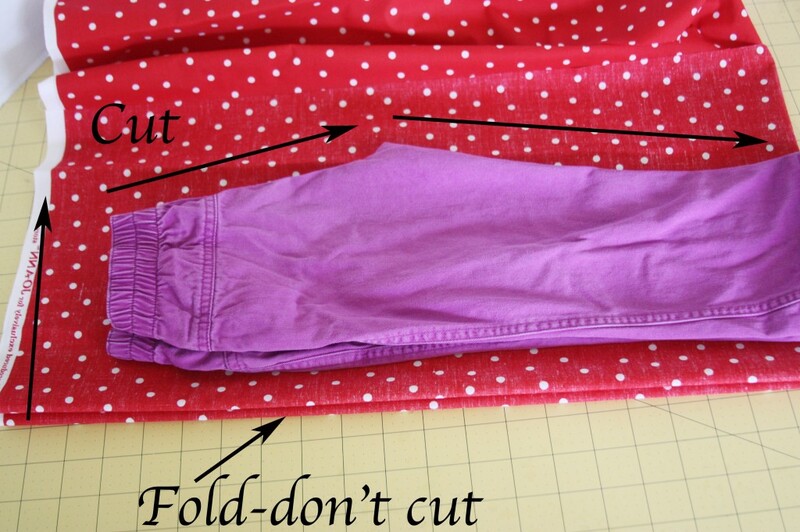 Fold your fabric right sides together and sew the legs closed. Turn one fabric piece right side out. Take that leg and put it inside the other fabric piece that is still inside out. Turn pants right side out-hopefully they look like pants! Fold top edge of pants down 1/4 inch, iron and sew along edge. 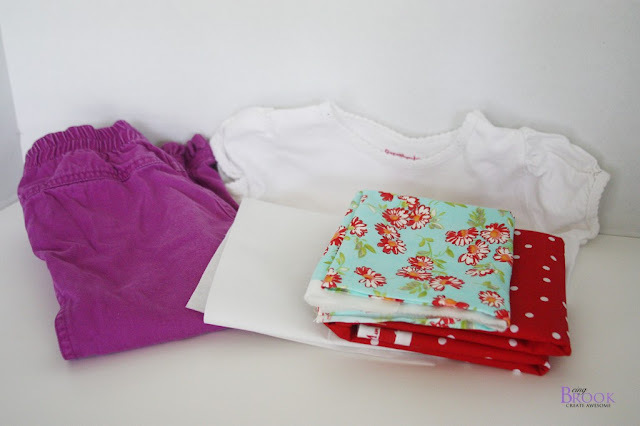 Fold fabric down 1 inch and iron(or whatever space you need for your elastic, my elastic was 3/4 inch wide). 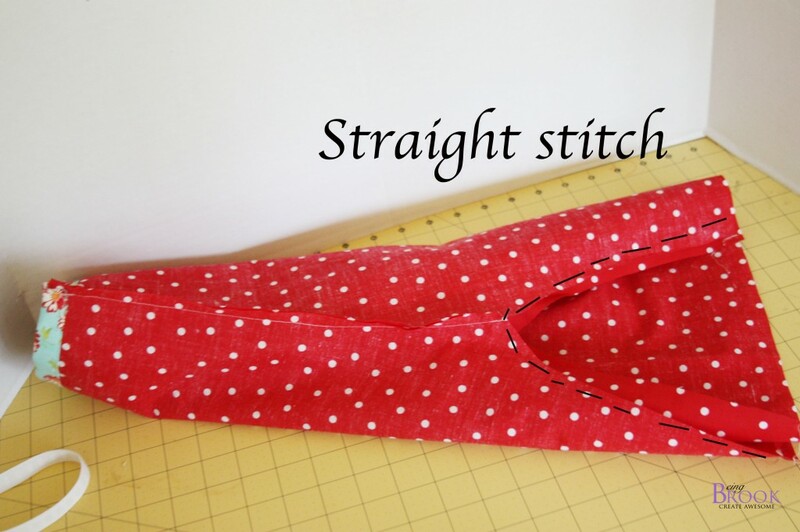 Straight stitch right along top edge of fabric and right along bottom edge, creating your elastic casing. 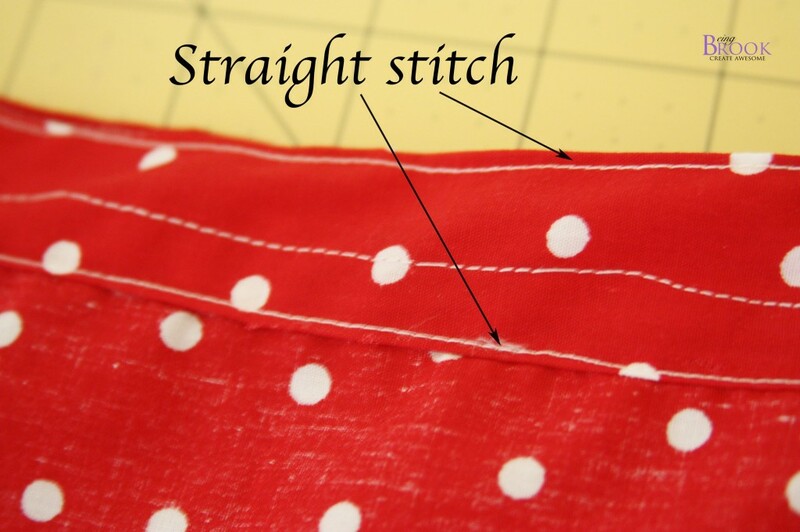 Leave about 1/2 inch open along the bottom edge so you can feed your elastic into waistband. 1. Leave 1/2 inch opening in bottom of fabric. 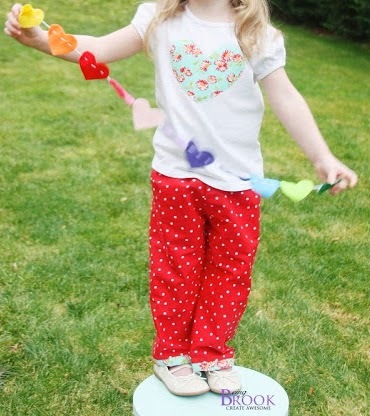 Cut your elastic about 1 inch smaller than the child's waist. 2. 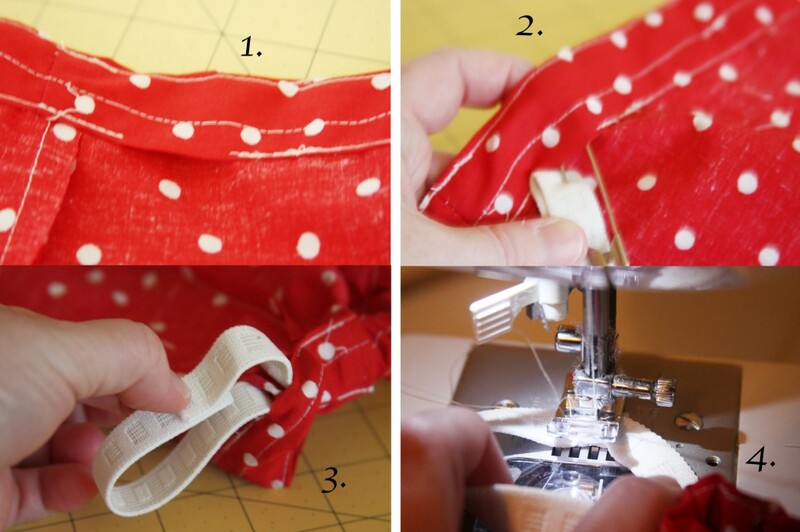 Pin a safety pin to elastic and gently feed elastic through opening and around waistband. Be careful not to let the other end of your elastic get lost in the waistband too! 3. Once your elastic is all the way around waistband secure the ends together.